Barking is normal for dogs, because that’s how they communicate. However, sometimes your dog may exhibit excessive barking that may be a nuisance, such as barking at objects, barking when left alone and sometimes for no reason at all. If that’s the case, there’s a real need to stop your dog from excessive barking and to teach her to bark only when necessary or when under command to bark. Our aim shouldn’t be to stop our dog barking completely, but to stop when it’s asked to and not to bark without reason. However, to make a dog stop barking, we first need to know why it barks. Your dog might bark because she's afraid, to drive something away, out of excitement, under command, or when sounding an alarm, among many other reasons. Sometimes your dog will bark for any reason and for some dogs, it’s in their genetic makeup. When you know why your pup is barking, you can take the right approach to correct it. 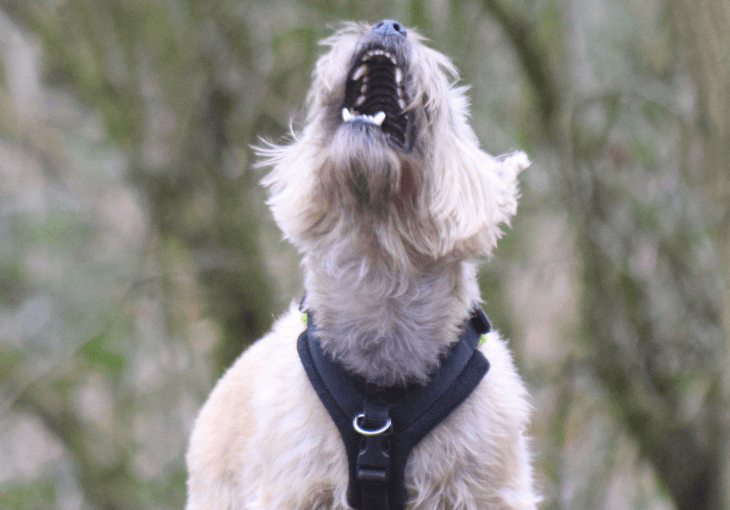 The basis of any dog training (Even Barking) is in the ability to take the role of pack leader for your dog as explained by Doggy Dan on the Online Dog Trainer which is accessible here. With this method, you can understand your dog and its thinking. This ensures your dog respects you, which makes training so much easier. Therefore, when your canine see’s you demonstrating confidence and calm leadership, she will respond to training and stop the unnecessary barking. By knowing why your dog is barking, you can know how to deal with it. To make sure this method works, be consistent, have a positive attitude toward the training and never yell at your dog (because your dog sees it as you barking with her). The training involves teaching your dog to bark when you tell her to "speak" and to stop when you tell her "quiet". This will ensure that your dog only barks when given the command to bark. One of the methods you can use is rewards such as verbal praise or treats. You can make your dog bark by ringing the doorbell or you can bark. When your pup becomes quiet, you can then reward your it. Note: Make sure you wait for moment after it stops barking to reward so that it does not confuse the reward for silence to be that of the barking. Another way is to command your dog to “speak” and when she barks a few times, stick a treat on her nose and reward her with praise and then a treat when she stops the barking to sniff. When your dog learns the "speak" command, you can teach her the "quiet" command. Go somewhere without distractions and tell your dog to "speak". As soon as she starts barking, tell her "quiet" and then place a treat in front of her nose. Praise and give her the treat. If your dog barks due to a particular stimulus, remove it. Find out what motivates your dog to bark. For instance, it could be barking at people passing near the front gate or a window. You can remove the motivator by getting your pup away from where it can see the moving people by bringing her into the house or simply changing rooms. You can create a distraction when your dog starts to barks so that your dog can take its mind off what is stimulating it to bark. Or, you can try a verbal command but if the intensity of your dog's barking is too high such that it cannot hear you, then you can use a tool that emits sound at a higher frequency, such as a can with coins or a chain. The sound interrupts the dog from barking. If your dog barks unnecessarily and a loud object falls in front of it, it may think because it's barking without reason, an object is falling from the sky and it associates unnecessary barking with objects falling and it will stop barking. You can ignore your dog by not showing her any attention such as not touching her, talking or looking at her as long as she is barking and then reward her with attention when she keeps quiet. Note: Make sure that you wait for her to be quiet before giving the treat or reward. For instance, if your dog starts barking when you put her in her gated room, ignore her and when she stops, praise her or give her a treat. If there is a stimulus that is causing your dog to bark, desensitize your dog by making it accustomed to what is causing it to bark. You can do this by having the stimulus at a distance at which your dog does not barks. Feed treats to your dog and move the stimulus closer and then feed your dog more treats. Next, have the stimulus move away and then do not feed treats to your dog. This will show your dog that the presence of the stimulus leads to treats. A dog’s barking can be a nuisance, especially if the dog does it without any reason. Although you should not desire to stop dog barking completely because it is in the nature of the dog, you can control when your dog barks. This is by portraying yourself as the pack leader and gaining the respect of your dog. For more tips on how to stop dog barking, you can visit the Online dog trainer website. 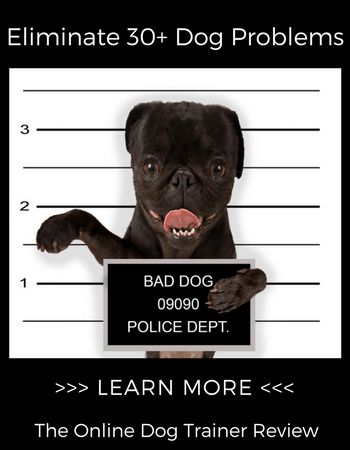 TrainThatPooch.com is a participant in the Amazon Services LLC Associates Program, an affiliate advertising program designed to provide a means for sites to earn advertising fees by advertising and linking to Amazon.com. Additionally, TrainThatPooch.com participates in various other affiliate programs, and we sometimes get a commission through purchases made through our links.